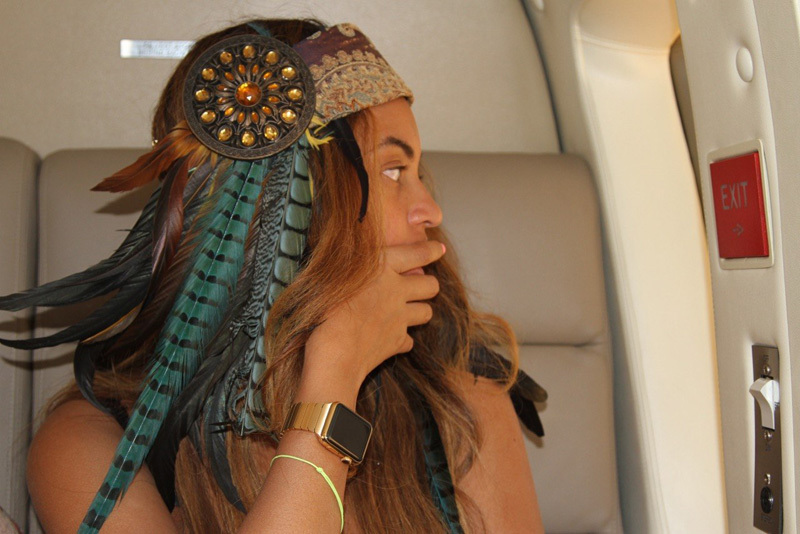 Beyoncé Knowles-Carter wears a gold Apple Watch in a recently released image on her website. Mrs. Carter is one of the first celebrities to be seen with this watch. She wore the watch during a visit to the 2015 Coachella Valley Music & Arts Festival in Indio, California. 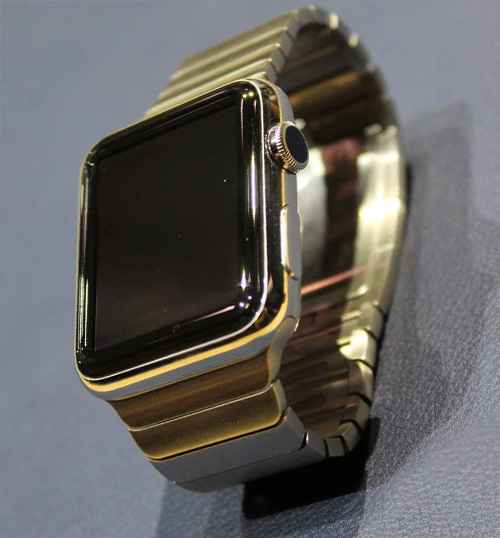 The solid gold Apple Watch was available for only a small number of wealthy clients for $30,000 - $40,000 and is sold out worldwide, but the other versions of the watch can be pre-ordered at Apple or you can look on eBay (beware of fake watchs and only buy from trusted sellers). Apple Watch - James Franco - Why Him?